This is a colorful and interesting trophy that will add spice to any awards shelf. 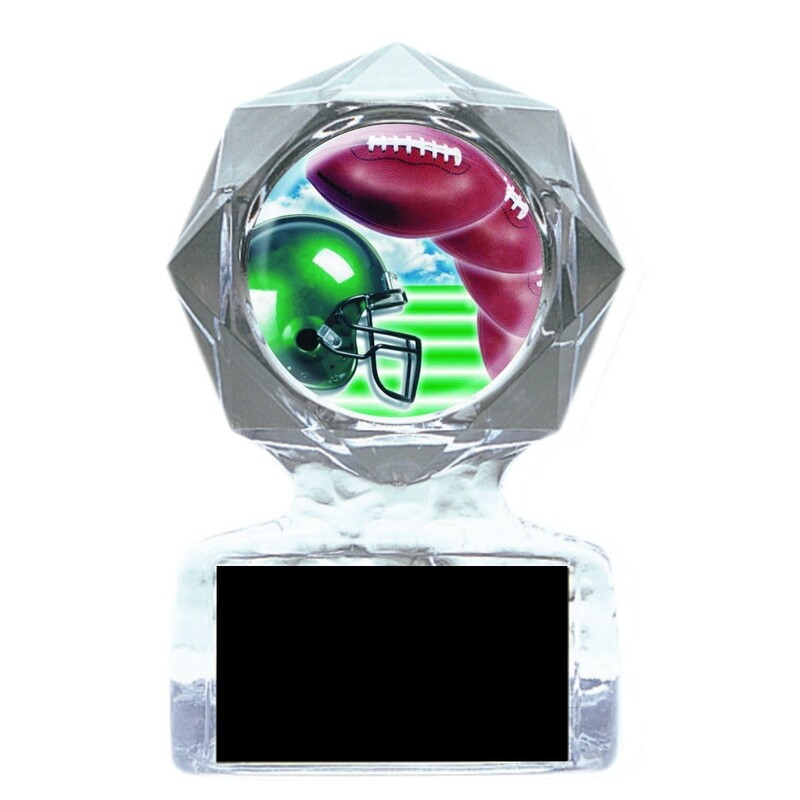 This Ball And Helmet Football Acrylic Trophy features a 2" full color insert of a traveling football and a green helmet. Recognize a superb football player or team with this trophy.